There are a few soaps that have been collecting in the workshop… I kindof think of them as soaps only a mother could love. They might be a little small, or uneven, or maybe they’re just a little older than the rest so they don’t smell as strong anymore. They are still beautiful and perfect and made to our high standards, but… well, they’re just not ready for prime time. I think of these as being perfect for treating yourself… they aren’t pretty enough to sell in the store or give as a gift, but maybe you just want one for your own use and you don’t need it to be fancy or perfect, just sweet-smelling and made with love. Every Thrive soap is made form scratch with vegetable oils, food-grade lye, and natural ingredients like clay and salt. We use it on our own kids! So visit the Thrive Handcrafts page on Etsy, where we’re having a sale! Our soaps usually retail around $7 but for now you can order 2 bars for $10. Selections include Fairy Sparkles, O Captain My Captain, and Lemongrass-Tea Tree. This entry was posted in Uncategorized on June 4, 2015 by niemama. Hello friends! Just wanted to send out some love on this warm and sunny Monday morning. My blog & Facebook page have been pretty dormant lately and it’s just about time to reawaken. Our family moved into a new house which has been glorious, exhausting, and more exhausting. I am in the process of setting up workshop & office so Thrive will be fully back in business! A big loving welcome to new visitors- I am always surprised to look at the blog stats and see all the various ways people find us. Stay tuned because in the coming months I will be running a big sale on soap, freshening up the look of the blog and online store, launching some new things, and blogging more consistently (!). Want to stay in touch? Check us out on twitter, instagram, facebook, or pinterest. This entry was posted in Uncategorized on April 13, 2015 by niemama. I am so crazy excited about this, I might pop. It’s a little premature but I just can’t stop thinking about it, so I’m gonna spill. 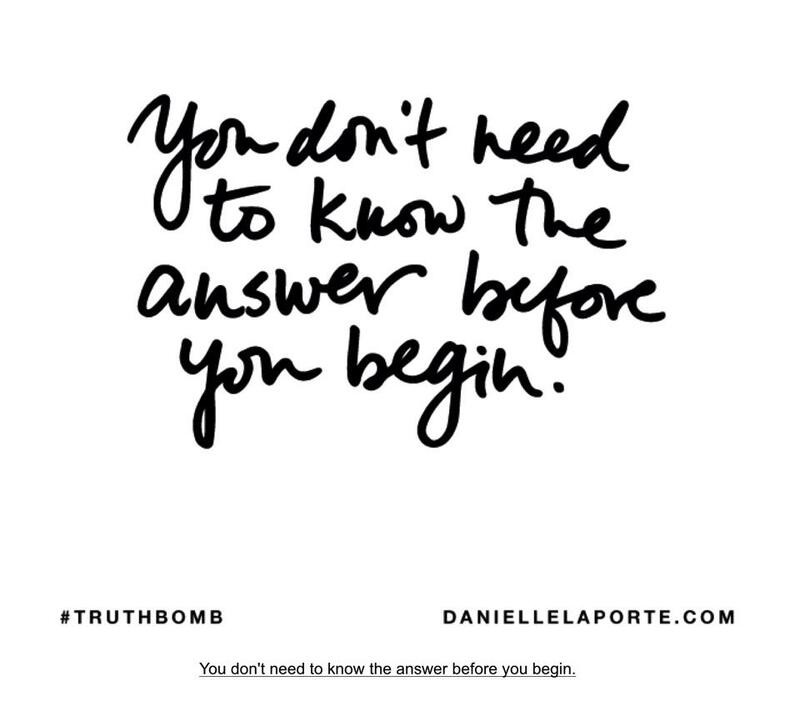 I have read several of Danielle LaPorte’s (*) books and followed her online for several years. I don’t typically consider myself a “follower” of anyone, but let me tell you – everything I read from Danielle just resonates. The Desire Map (*) was a real game-changer for me in terms of my relationship to myself, my parenting, my marriage, my business. I loved the book, I loved the day planner, love, love, love. Then she opened up an amazing opportunity: to be a licensed facilitator of Desire Map workshops, leading other women on this amazing journey. I dreamed and I desired and I resisted… and now… I have leapt. BIG TIME. In the coming weeks I will start an email newsletter (***DONE!) and launch a website dedicated to my Desire Map programs, and start planning my first workshop(s) – definitely in the St. Pete/Tampa area, in other cities as the need arises, AND virtually via Skype. I gotta keep reminding myself to start small! But know this: they will be transformational; they will open your heart; and they will certainly include sweet-smelling gifts! Stay tuned, my friends. My heart is bursting. This is going to be a wonderful ride. This entry was posted in News and tagged affiliates, Desire Map, goals with soul on January 8, 2015 by niemama. I’ve been so swamped with holidays & life that it took until now to post about this… fiiiinally here I am with some big news!!! I’d had an idea for a while to develop a new recipe that was similar to the amazing soap of southern France, or savon de Marseille. I started by making it with 72% olive oil, and added my old favorites of avocado oil, coconut oil, and shea butter. I used the same basic technique as I do with Thrive soap – that lovely, unique textured top – and the result is pretty, pretty, pretty. Ladies and gentlemen, I present my new baby: Minérale Savon Artisanale! My freakin’ ridiculous husband made the gorgeous display rack out of copper and cedar. He worked late nights in the garage to build this thing and I couldn’t be happier. It is sturdy and beautiful. It has just the right patina so it looks aged. He made an oval sign and I stenciled the logo. There is a perfect little box on the side to hold kraft paper bags, so the customer can select their favorite soap and take it with them. Minérale makes its debut today as part of the grand opening of Locale Market, an exciting new gourmet market that opens today in downtown St. Petersburg. We have visited a couple times as they prepare to open and it is such an amazing store! They have an Italian kitchen, seafood, sandwiches, ice cream, wine, cheese, pastries – all under one roof. In addition to our soap they are carrying goods from a variety of local farmers and producers, which I love. I hope you’ll join us as Minérale continues to evolve and grow. It will have its own website in the new year – in the meantime please follow us on Facebook. Joyeaux Noël! 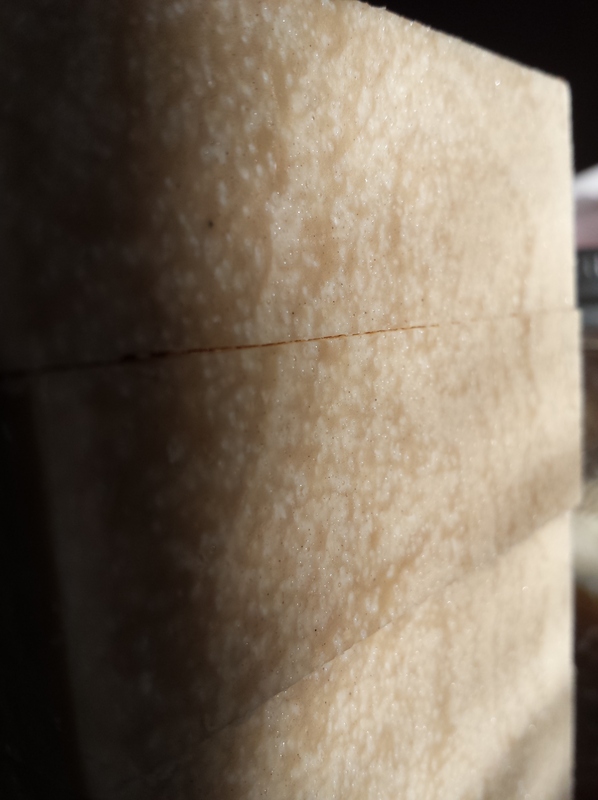 This entry was posted in Buy soap and tagged Minérale on December 17, 2014 by niemama. For the holidays this year, our normally-awesome gift sets are on steroids… each one contains a Thrive Handcrafts artisan soap of your choice, a handmade cedar soap deck, and (eeek this is so cute) a little paper envelope of wildflower seeds… all contained in (hold on it’s about to get cuter) an elegant white ceramic flowerpot. My friends, behold THE GIFTPOT. And that’s just the small version… the large includes either one jar of our creamy dreamy whipped shea butter (if you see us in person at one of our upcoming craft shows) or a solid lotion bars (for gifts that have to be shipped). At this moment the Goat Milk & Shea Butter and Fairy Sparkles sets are listed on Etsy, later today we’ll list more scents. THIS SATURDAY come see us at Creative Loafing Crafts & Drafts at the St. Pete Shuffleboard Club! This entry was posted in News and tagged available now, buy local, etsy, giftpot, holiday on November 13, 2014 by niemama. I love soap with a story… here is the latest. I present my newest soap; her name is O Captain My Captain! Here she is basking in the morning sun. This soap has been loved and prayed over. Tears were shed. Memories stretched their wings and flew. Call me crazy, but I actually whispered loving secrets to this soap so it could go out in the world and do good. Some people write poetry, or paint, or sing. I make soap. A portion of the proceeds from this soap will be donated to charities supported by the folks I’ve cried over. It will be in select retail stores and in our online store in late October. UPDATE: I went ahead and created an Etsy listing for pre-orders: https://www.etsy.com/listing/205394828/o-captain-my-captain-seaweed-sea-salt? This entry was posted in Uncategorized on September 30, 2014 by niemama.